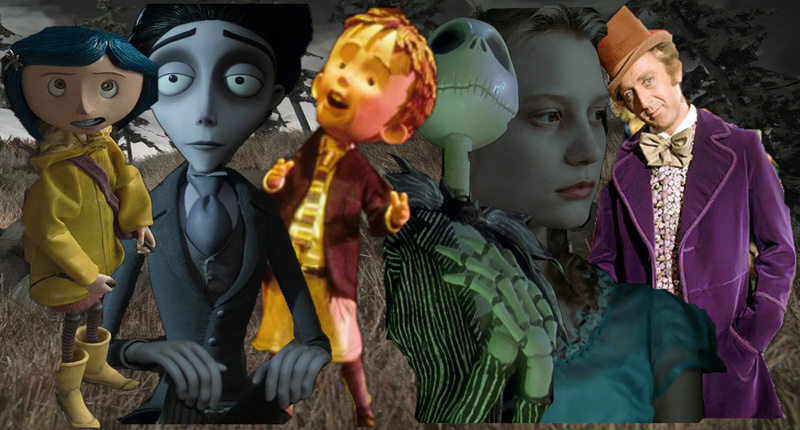 a bunch of characters that Tim aparejo, burton brought to life. i know it is no all from disney but thats what makes it a crossover but they all were brought to life por tim aparejo, burton and that is what i based this pic off of. HD Wallpaper and background images in the disney crossover club tagged: disney crossover tim burton coraline the corpse bride james and the giant peach the nightmere before christmas alice in wonderland willy wonka and the chocolate factory. Love it! I especially love Tim's stop-motion films. @Brandon1996 'tis fine, not disappointed. Most don't know Coraline wasn't Burton's work because the world assume's all stop motion films are his work, so it's okay. I thought it was Tim Burton because they mention The Nightmare Before Christmas in the trailer to promote the movie. The director is Henry Selick and it was made by Universal Pictures. It's on IMDB.